We all love the finer things in life; good food, good wine, nice cars, the list could go on and on. But so often, people settle halfway for clothing, especially footwear. We spend a lot of money on our cars to get us from A to B, so why don’t we invest in our feet; the original method of transportation? Well, we’re here to tell you all about handcrafted men’s shoes, and why there’s simply no other choice when it comes to comfort, style and substance. Robinson’s has been a family owned business since 1954, and we’re simply obsessed with shoes. We’ve remained local to our roots in Carrickfergus, making sure that every pair of shoes we deliver are expertly crafted, using the finest quality leathers, and the perfect fit every time. Our motto is ‘Gloria Prisca Novatur’ – the Glory of Old Made New, and we think it fits us perfectly. We’re passionate about seamlessly blending time honoured tradition, the finest quality material, and making sure all of our customers leave our shop delighted with their shoes. While we offer the best in handcrafted shoes, we also carry our expertise into making sure our shoes fit perfectly, with our expert fitting service available in store. 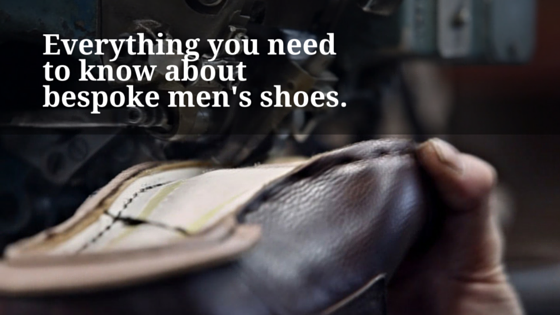 Handcrafted shoes are simply the height of luxury men’s footwear. But they aren’t just a silly impulse purchase; they are a serious investment. Handcrafted shoes are not only incredibly comfortable; they are also very durable, meaning that they’re ideal for work or play. You can wear these quality shoes every day and expect them to hold up a lot longer than mass produced footwear. This is because they are handcrafted, not just machine assembled; and since the fit is perfect, the shoe perfectly moulds to your foot. This minimises damage to the shoe and leather, leading to more durable footwear. This is also because of the quality of the materials we use; poorer quality leather is prone to cracking over time, similarly to synthetic leather. While these may be cheaper alternatives, nothing quite holds up to the fit and durability of quality handcrafted leather shoes. At Robinson’s, we know how to fit a shoe; it’s what we’re good at. We’ve been doing this for a long time (62 years to be precise!) and we know what makes a great shoe. We offer a free personalized fitting service, and we’re always available to talk on the phone or via email. Nothing beats face to face service though, and at Robinson’s we pride ourselves on our unique customer service. We’ll sort all the fitting out; all you need to do is sit back, relax and let us do the hard work. We’ve told you all we can on paper – you really need to try on our handcrafted footwear to fully appreciate it. So why not arrange a free fitting today? We promise you your feet, and your wallet, will thank you.